The former Ye Old Pizza building in Newberg will see new life as a new business is making preparation to craft tasty pies for local folks. Odd Moe's Pizza, part of a chain of restaurants in northwest Oregon, will take up residence in the Portland Road building. 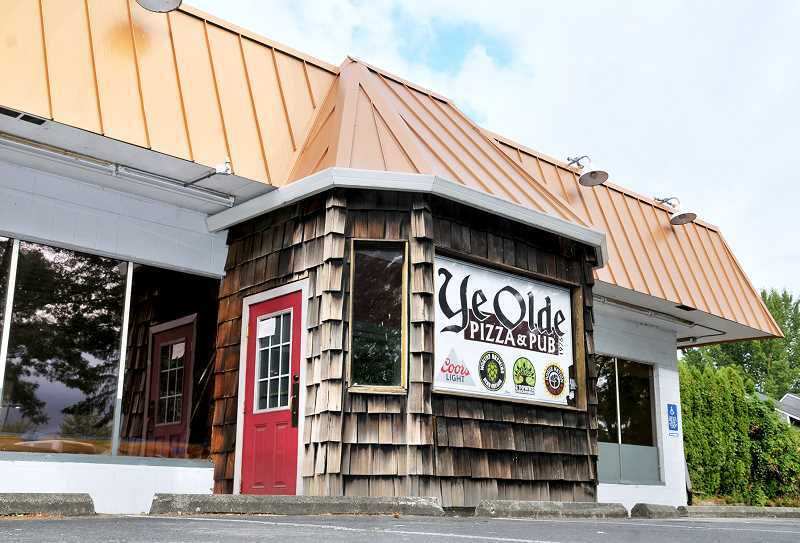 Aris Widiatnoko and his wife became franchisees of Odd Moe's in McMinnville in 2008 and when they found out that the Ye Olde Pizza building was available, they jumped on the opportunity to fill the empty space. The couple plans to open by late September and serve pizza, beer, salads and desserts. "It has been our dream to open one up for a long time in Newberg," Aris Widiatnoko said. "We've been looking for a spot for the past six years, but we could not find a spot, it was always full. Or if you could find some place, it was not in the right location. So finally this year we found out about the Ye Olde Pizza and we jumped right in." The building is being updated to code and the owners are awaiting permits from the city before remodeling efforts can commence. Customers will soon be able to dine both inside and outside the restaurant. "We have to install new equipment because I don't think that the store that was here before was permitted," Aris Widiatnoko said. "We took down the wall and took everything out because for us the kitchen was too small and the walk-in (cooler) was too small. We wanted the area bigger for the kitchen, and up to code." The restaurant will offer traditional cuisine, but uses sport terms and team names for their pizzas. The "Sweet Spot" is full of extras and loaded with pineapple, the "Green Monster" is on the vegetarian side and loaded with vegetables and cheese, and the "Bull Rider" has three types of meat and is topped with barbecue sauce. A pizza place is not a pizza place without cheesy garlic bread, salads, chicken wings, beer and hot wings on the menu. The restaurant will also offer dough dunkers coated with cinnamon sugar or Blue Bunny ice cream for dessert. "What makes us different is the taste and flavor of the crust and the way it is built in the pan," Aris Widiatnoka said. "We try to bring the best value and best quality for the price. Our pizza is made fresh everyday on the premises and we make our dough by hand and our own sauce. Our cheese is not pre-grated cheese, we get the block and grate it ourselves. It is all fresh ingredients." Customers can order online for delivery or pick up their orders at the store, which will net them a free 2-liter bottle of soda. "We always have a special deal, always have a coupon on the website that a customer can use," he said.